Do you remember the giveaway I had for my 100th post? 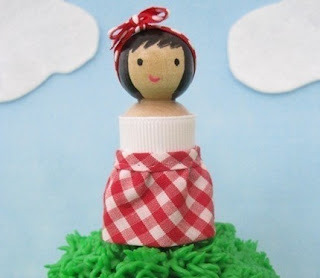 If not, then let me refresh your memory....to help me celebrate my 100th post (back in May), Brook from Angelbot very nicely agreed to give one lucky Under the Big Oak Tree reader one of her adorable Candle Head Cutie Cake Toppers with an outfit of the winner's choice. Brook has opened a second Etsy Shop for her music and gadget related items! Be sure to check out RockitBot and place your order your Nerdherders & Gadget Sleeves! Congratulations on the new shop, Brook! Best of luck! I want to remind you all that there is still time to enter my current giveaway! Click here to find out how to enter to win a $40 CSN Stores Gift Certificate!